Community member Kelly Davis discusses jurors' pick and personal favorite, El Sueño Americano (The American Dream). 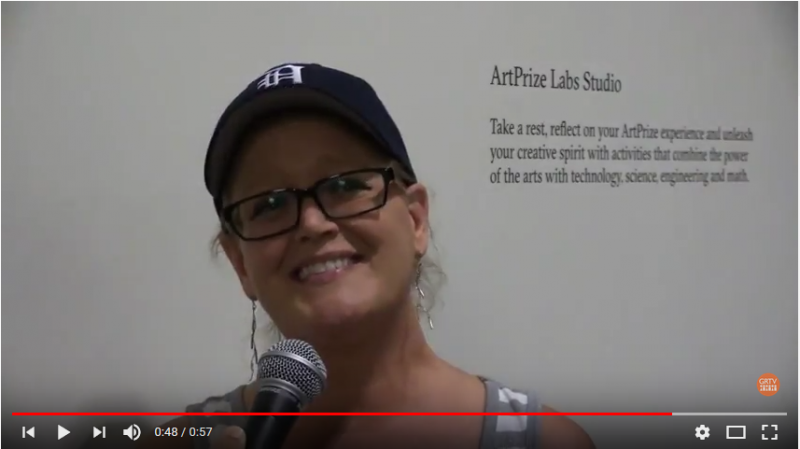 The Rapidian and GRTV interviewed a variety of audience members after the Jurors' Shortlist event to get their reactions with the help of Community Journalist, Jim Moreno and Cameraman, Brandon Cooley. Community member Kelly Davis discusses jurors' pick and personal favorite, El Sueño Americano (The American Dream).